On one hand, we have the Autodesk Inventor which is professional 3d CAD software for windows operating system; on the other hand, we have Autodesk Fusion 360 which is a cloud based platform which integrates the whole manufacturing process from CAD, CAM to CAE (Computer Aided Engineering). Fusion 360 supports freeform, solid, parametric and mesh modeling. It also provides support for 3d print utilities. Fusion 360 is used where people working on the software need collaboration within the team to ensure transparent teamwork. It enables a team to follow a collaborative process while working on a project. Fusion 360 is new and improved software introduced after Inventor which has been in use since more than 20 years. The course aims to impart the knowledge of the basics of Freeform and Solid modeling. We seek to train you in object simulation, visualization and rendering. You can design the product by logging from anywhere in Fusion 360 as it is a cloud based application. You can explore the exciting features of Fusion 360 with us while we take you through the incredible journey of learning this software. Over the years, the world of 3d printers is taking over our lives. The use of CAD software is on an up rise. Fusion 360 being a cloud based application is used mainly by the hobbyists to design their own machine parts and assemblies. But if you find Fusion 360 not catering to your needs then look for Inventor which can answer most queries. We are not just another training institution; we believe in excellence in all aspects, be it the facilities we offer or the training curriculum we have developed. We do not leave you alone to wander in the vast world of CAD; we aim to help you, going out of our way, because we understand that our students deserve the best. We give definitive reactions to your feedback’s which are taken into serious account by us. We provide the best instructors that have been a part of the industry adept with sophisticated processes and tools. They know exactly what you need to be relevant in the competitive market. Fusion 360 is widely being used by companies that seek to develop consumer products. Therefore, consumer product industry is a viable option for your future. However, if you are passionate to develop medium to large-scale engineering projects then we will also help you to find out opportunities through Autodesk Inventor. Autodesk Inventor is similar software in function; however, is more sophisticated and suitable for engineering applications. Usually this course is most sought after by the mechanical engineering students. However, our course is designed for students from different backgrounds too. 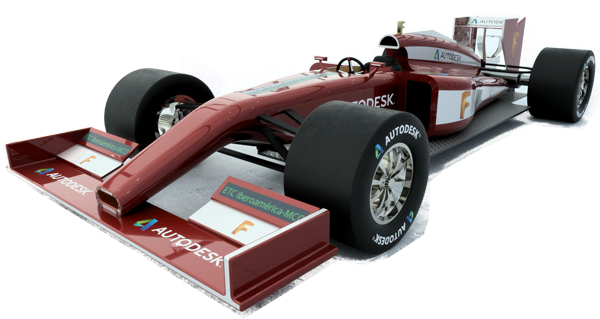 We will take you from the User Interface of Fusion 360 to complex part modeling, Organic modelling and Cloud rendering (Realistic Views). We will time and again assess your understanding to customize our course as per your requirement. Therefore, you need not feel apprehensive about taking full advantage of this course.